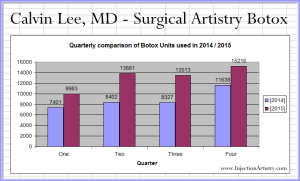 I had a previous posting regarding December Botox statistics for 2015. I had probably made some assumptions. But now that December 2015 is officially over, the numbers are more solid. For the year of 2015 I used 52, 593 Units of Botox. That’s 4,382 units of Botox monthly if we divide that number by 12. 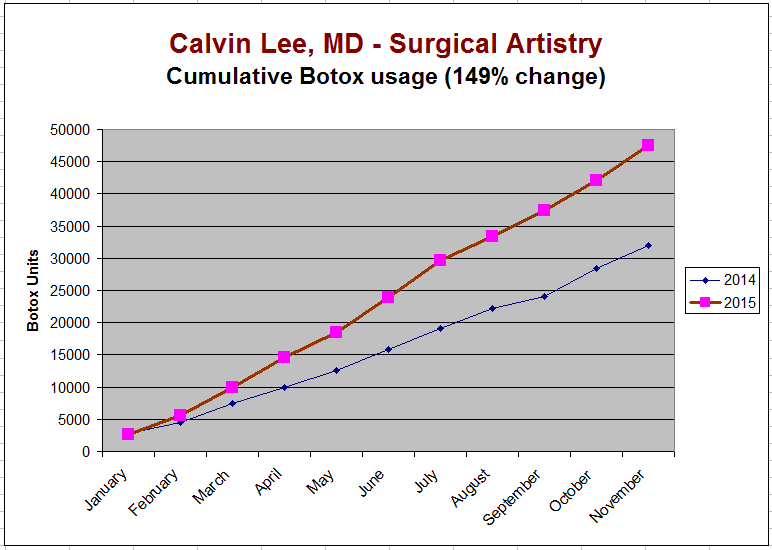 Or another way to think of it is that it’s about 43 Bottles of Botox per month (40 Bottles is a more rounded number). 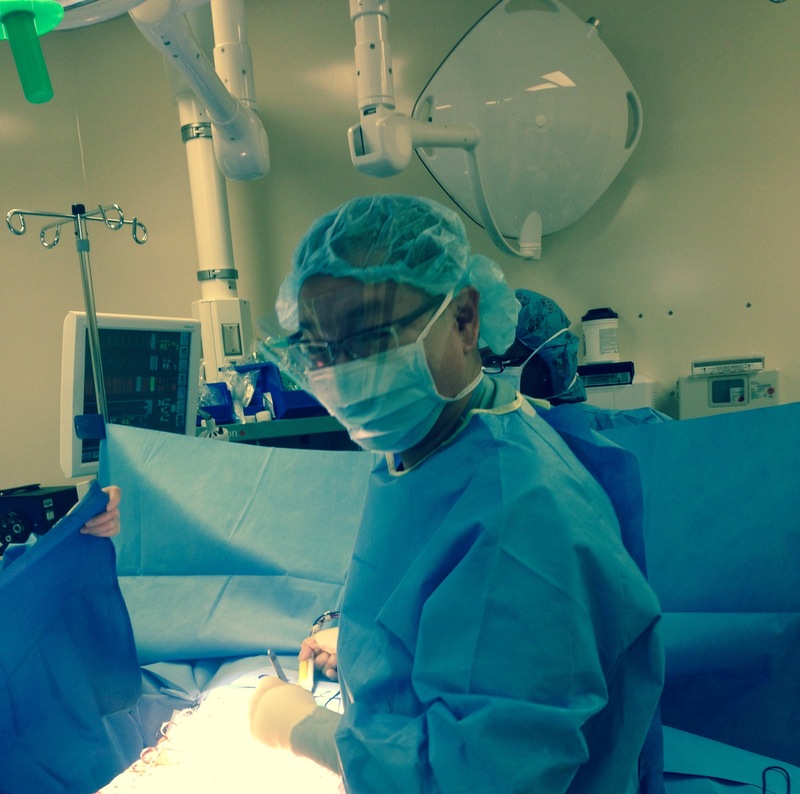 Fillers in my recording includes Juvederm, Belotero, Radiesse and Restylane. If I divied 694 by 12 months. I get 57.8 syringes of filler per month. 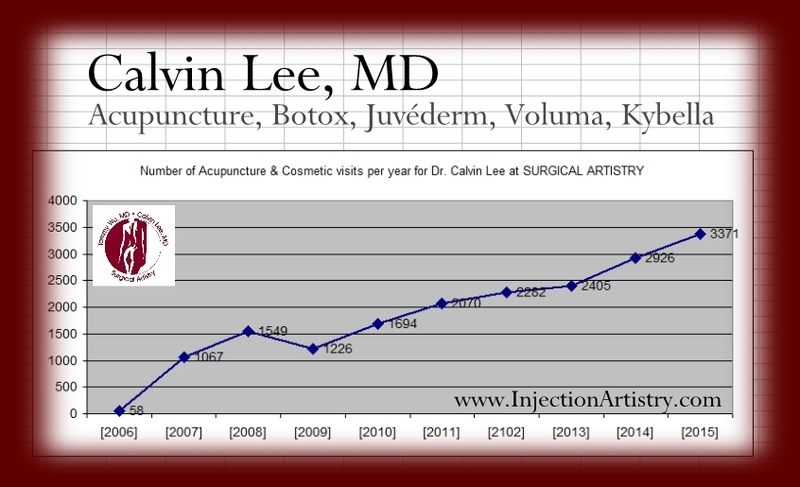 I guess I could say that I average about 55 syringes of filler per month. 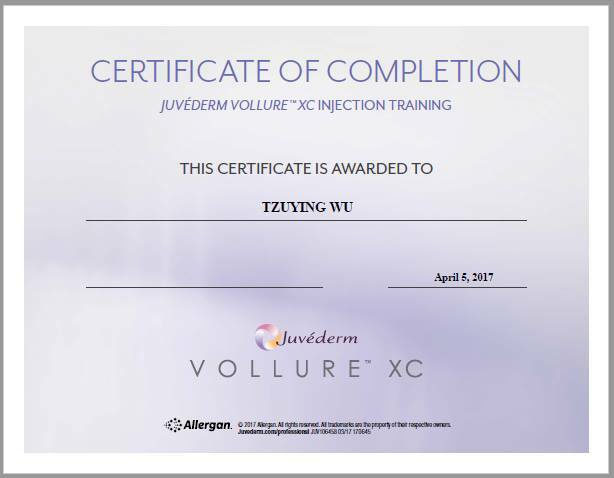 I did hit 100 syringes of fillers used in the month of December – it was a busy month, and I purposely tried to work as much as I could in the month of December since patients had some time off to get cosmetic work done. These visits are for Botox and doesn’t take into account visits for filler only. 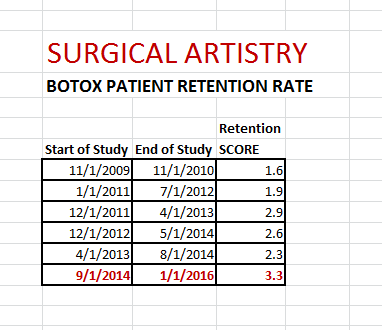 I get this data from Allergan’s Brilliant Distinctions. This calculates to an average of 114 visits per month. And for fun, if I had about 20 days in the office per month, it would be about 5.7 patients seen per day in the Modesto office. Sounds pretty low of a number? Well, I also have a vein, acupuncture, and surgery assisting practice which I run at the same time. 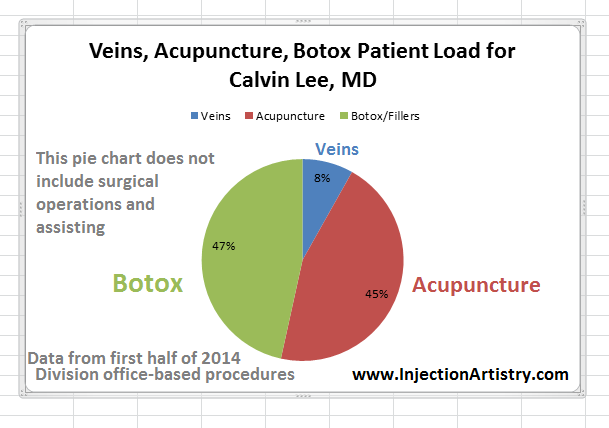 See Botox Statistics from 2014 – there is a breakdown of my day – looking at the amount of time I spend with Acupuncture vs Botox vs Veins. This number (745) includes all Botox and Juvederm patients seen in 2015. Tricky thing here is that it is only Juvederm and not other filler brands. 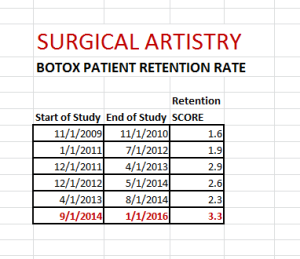 I got this data from Allergan’s Brilliant Distinctions. I guess there’s fault in my numbers, but it’s still fun to follow – especially if there’s a nice positive trend. I think it would be nice to know which percentage of these patients were new and which were recurring. I wonder if I can set up Allergan’s Brilliant Distinctions Analytics program to figure that out for me. This list grows. I get the info for this list from my patients who tell me about other Modesto Botox locations. 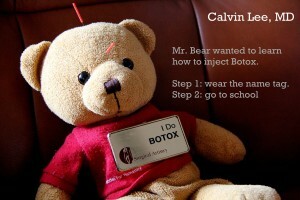 I have not visited these Botox sites personally. Comparing to other years – Visits to patient ratio. 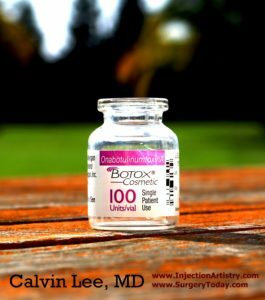 This isn’t a perfect ratio, because the visits are BOTOX only visits, and the # of patients is patients who have come to me for Botox and Fillers (Juvederm) – which means that there are some Filler patients who aren’t Botox patients. But regardless the ratio is fun to look at. 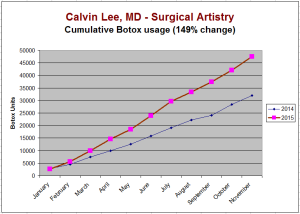 In 2015 I had 1371 Botox visits from 745 patients for fillers/Botox. 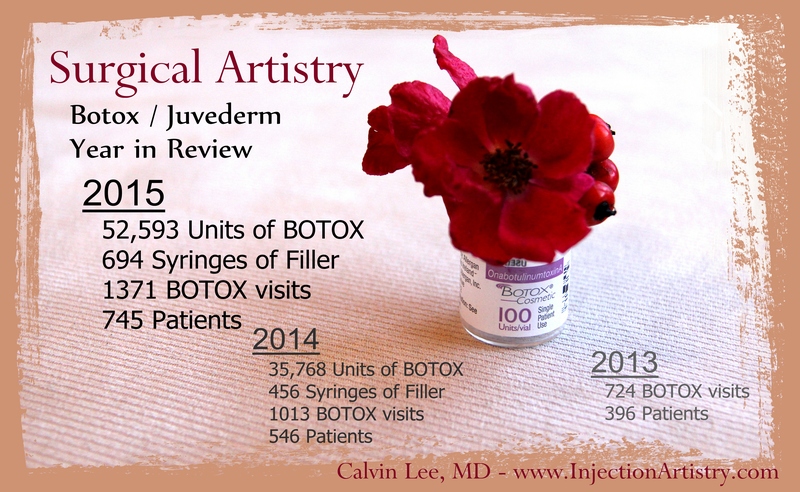 In 2014 I had 1013 Botox visits from 546 patients for filler/Botox. In 2013 I had 724 Botox visits from 396 patients for filler/Botox. These ratios can be seen as how many times a patient comes to the office. Sort of a measure of retention or rebooking. The graphic on top of the page sums it up the best. 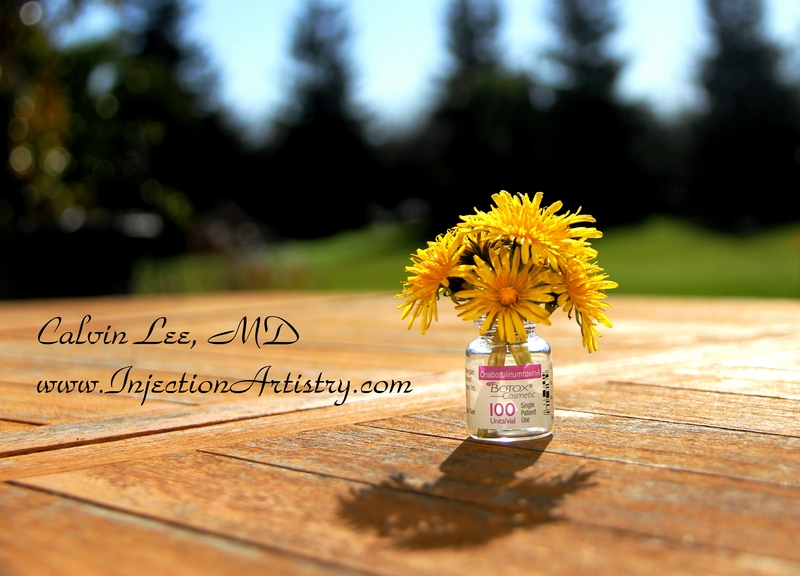 Please consider visiting my Botox practice in Modesto, CA. 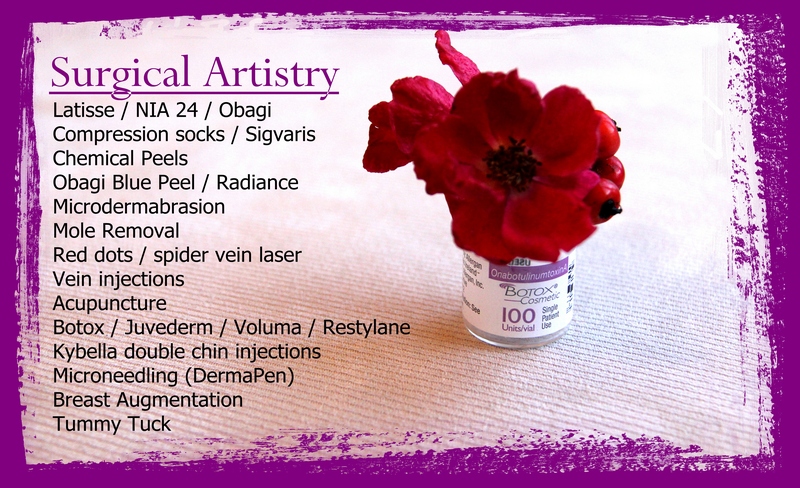 We also carry Latisse 5ML and 3ML.